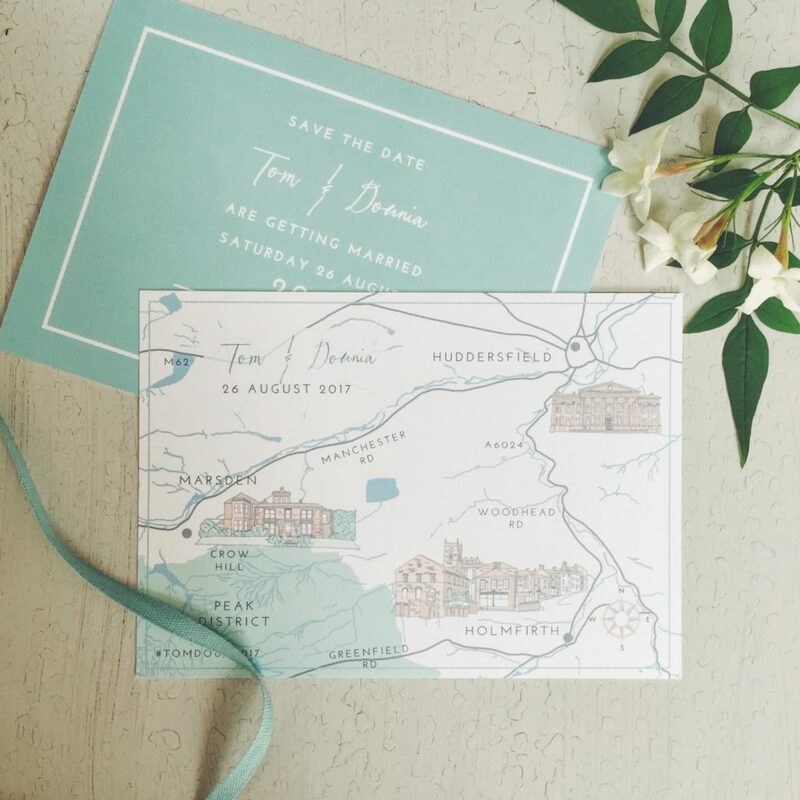 Congratulations to our lovely couple, Dounia and Tom who just got married at Crow Hill Estate in Yorkshire. 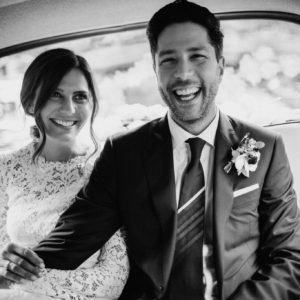 They even managed to organise their Yorkshire wedding all the way from Australia…so impressive! 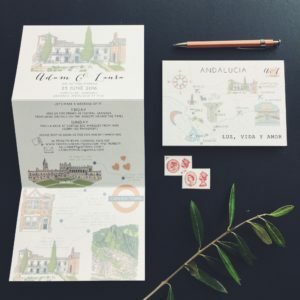 I had the pleasure of working on their bespoke stationery from the UK and liaising across the time zones, which actually worked very well. 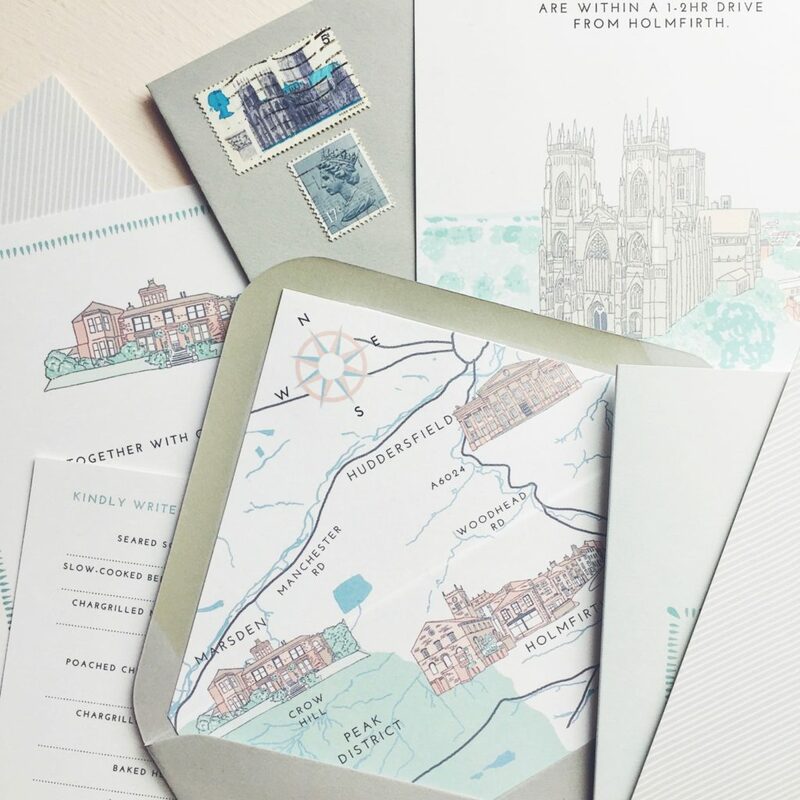 Their design was made up of a number of hand drawn illustrations of places that were important to them in Yorkshire and included Save the Dates, Invites, RSVPs, information cards and lined envelopes (lined with a little map of the area near where they were getting married). 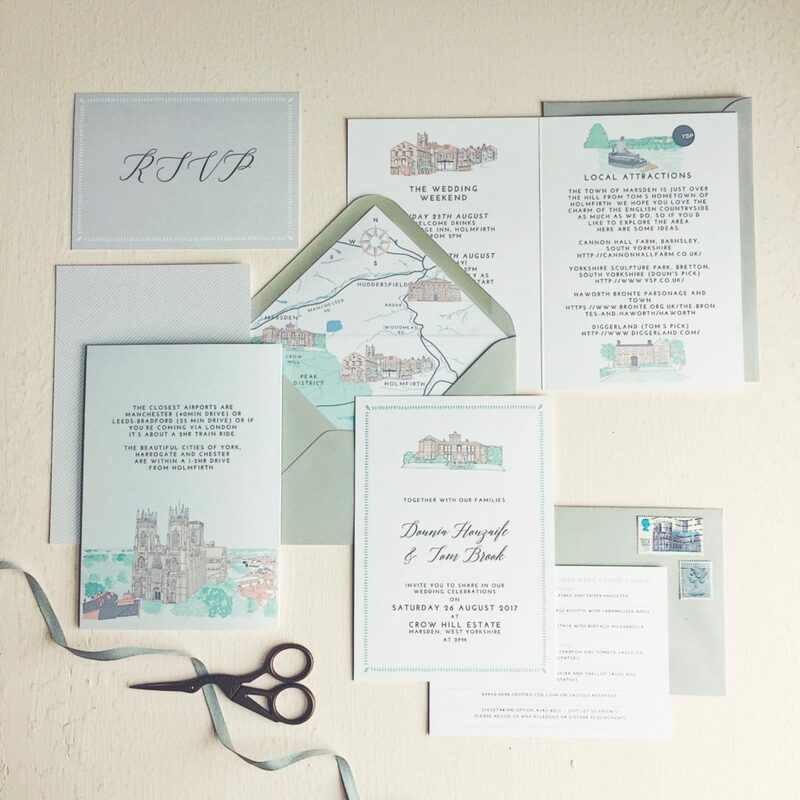 It was a really lovely personal commission to work on and I loved the colour palette of greys and blues that they chose. 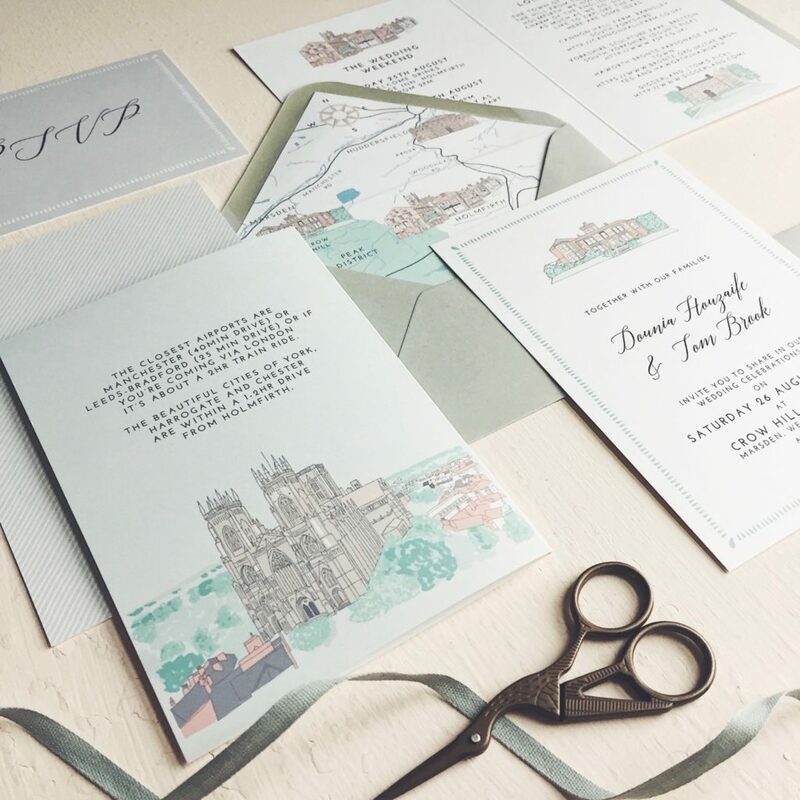 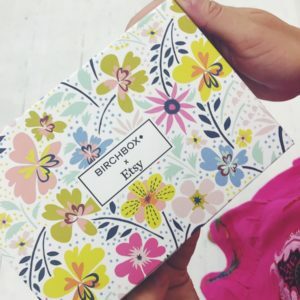 If you’re interested in having a bespoke design created, just send us an email or take a look at our bespoke page here for more images and our bespoke process page here for more info.